Like so many local districts, Jackson Public Schools has had to deal with a shrinking number of students in years past, which affects the district's bottom line. While its too early to say, because students are still enrolling, the district is cautiously optimistic for the year ahead. Jackson saw what Superintendent Jeff Beal calls a "leveling" in terms of student enrollment last year. Between fall and winter count, about 100 to 150 students typically leave Jackson. But last year, the superintendent tells me they only lost 22 students. "If that's an indicator of where we are going to be this year...that's a drastic drop in the number of kids leaving Jackson as a county," says Beal, "most of the time what we find is that it is economic, you know, they are moving for a job or housing." Jackson hopes that trend holds steady. Plus, the district is excited about numbers at Hunt Elementary, Jackson's balanced calendar school where students have a shorter summer vacation and more spaced out vacations during the year. I'm told 50 new families have come to Hunt since the doors opened a couple of weeks ago. 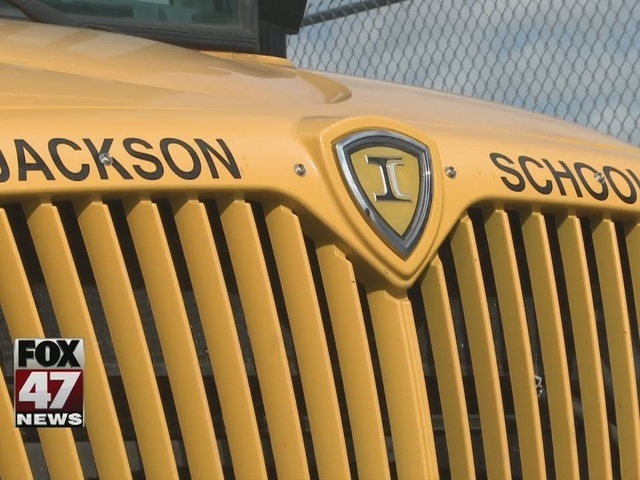 Jackson Public and the Jackson County Chamber of Commerce is opening a new virtual school today, what the Superintendent calls a re-visioning of virtual learning. The South Central Michigan Virtual School is inside Jackson Crossings. It even features state of the art technology that allows students to go on virtual trips. The ribbon cutting is tonight at 5:30 p.m.